Home / Shop / Accessories / The Ocean Legacy Foundation, Super Stretch Multi-use Tote Bag! The Ocean Legacy Foundation, Super Stretch Multi-use Tote Bag! 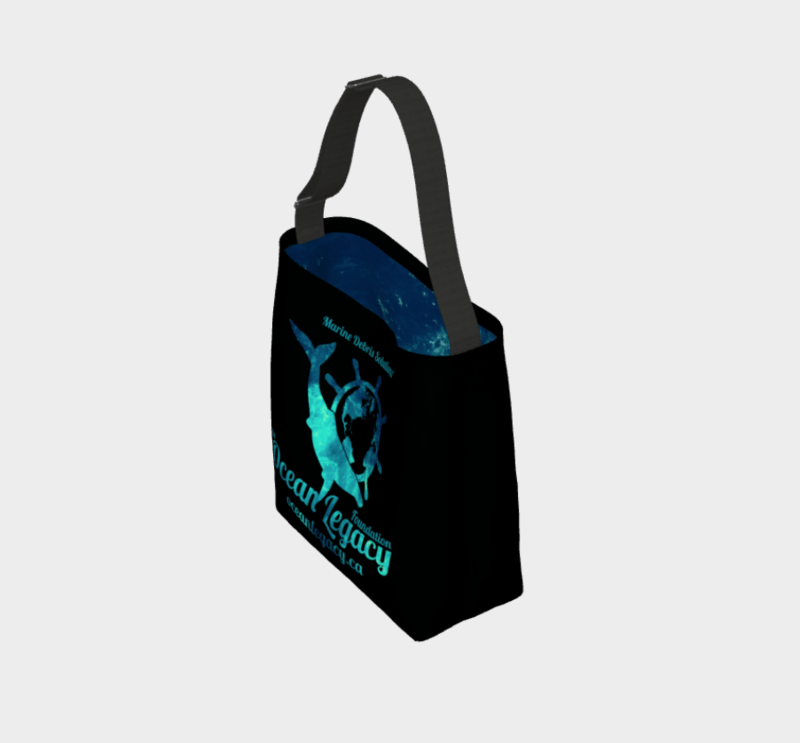 It’s a do-everything-for-you tote bag. With an adjustable, durable black strap for comfort, our tote is made from soft and supple neoprene that stretches to fit whatever you can throw at, or in it! 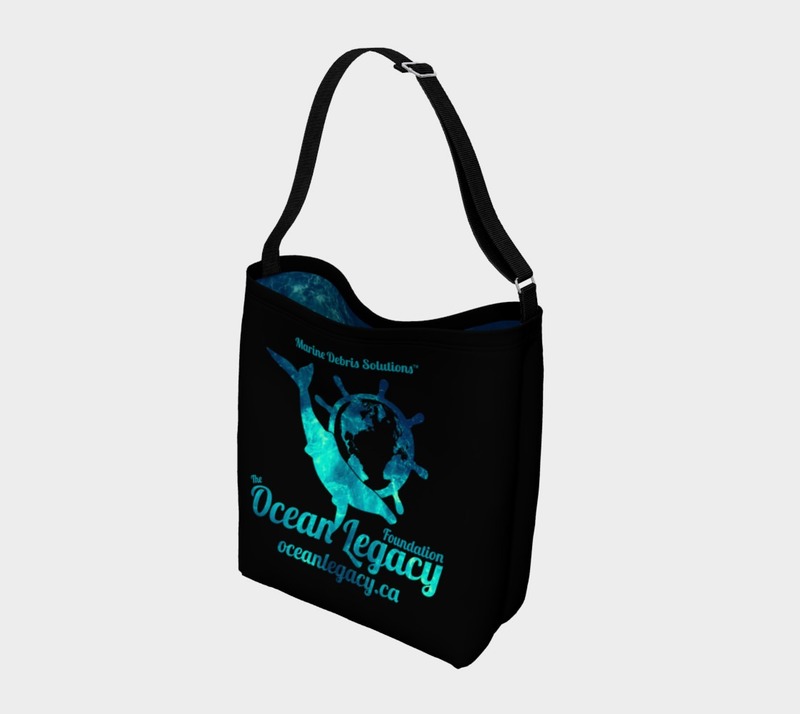 Our super stretch printed totes are made in Quebec, Canada. Bike for life friendly. 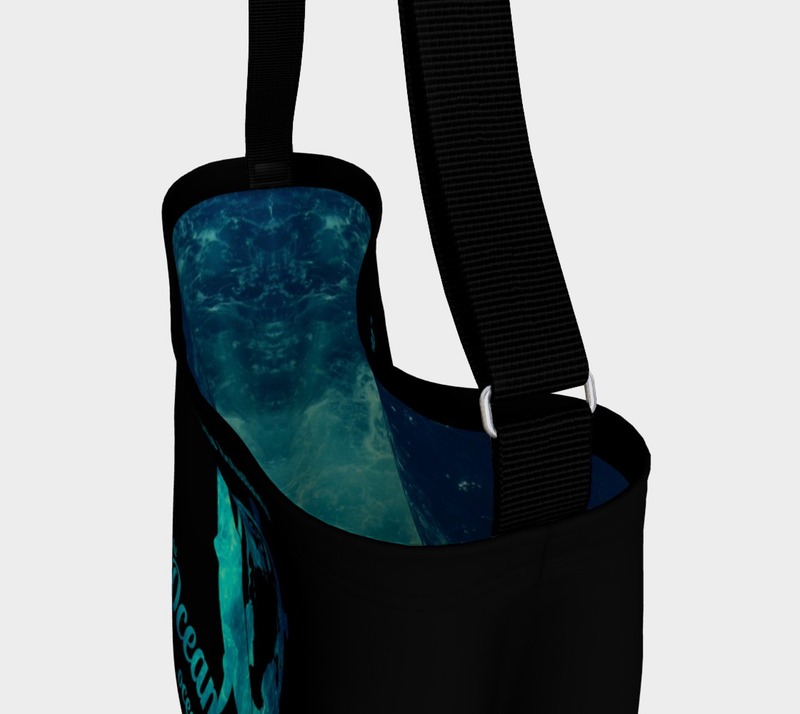 Adjustable Strap allows you to centre the tote perfectly on your back for safe biking. 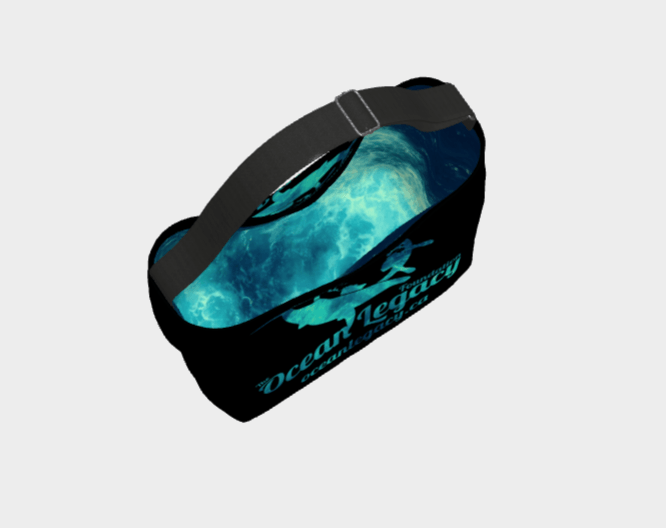 Please allow 7-14 days for printing, sewing and packaging prior to shipping as these are made to order. 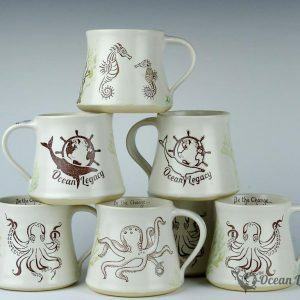 Shipped to Canada via Canada Post and USA duty free via USPS only at this time, from Quebec, Canada. 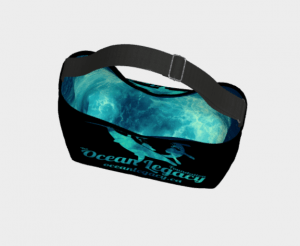 Designed by Maverick CreatriX for Ocean Legacy. Hold everything you need and more with lots of stretch! 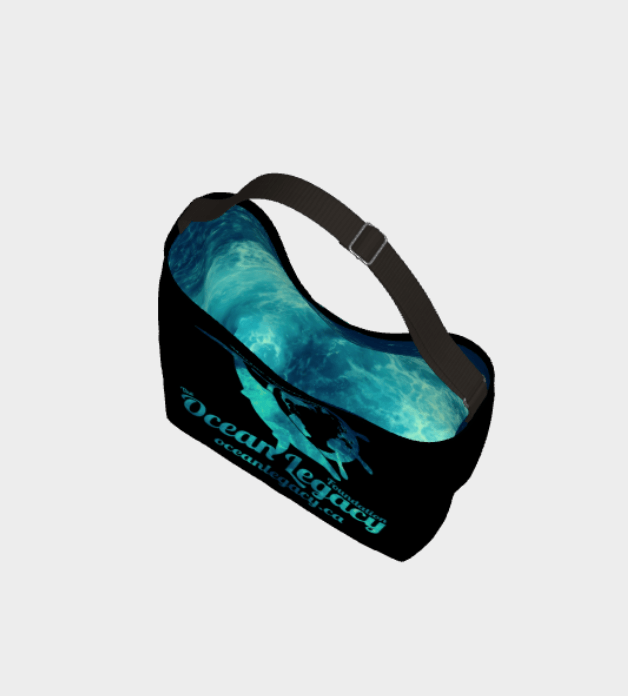 A lot of things can fit into this bag and it will not break, only stretch! 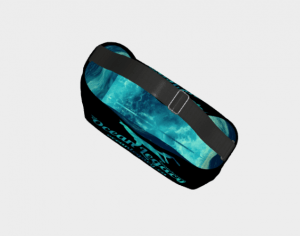 Easy adjustable 44″ strap Wear your bag at the length you like. 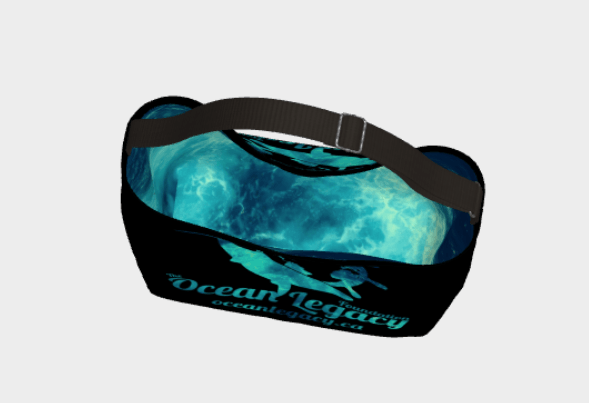 *All profits from the sale of this product go towards supporting The Ocean Legacy Foundation’s, Marine Debris Solutions™ program. 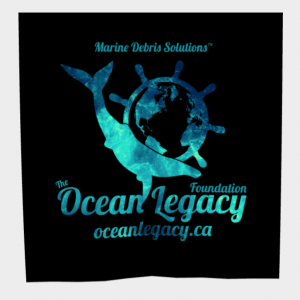 Thank you for your support of clean oceans! 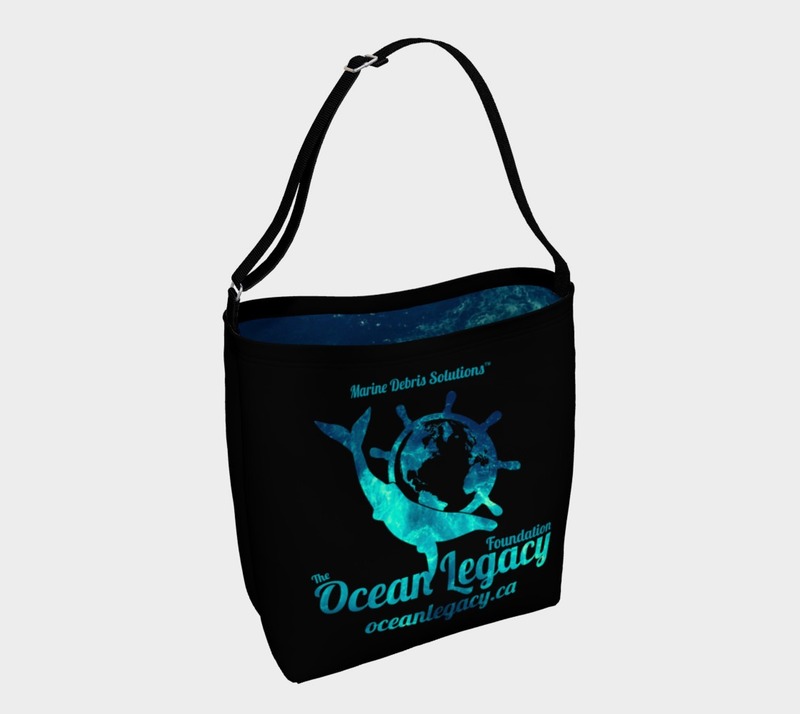 The Ocean Legacy Foundation Multi-use Origami Tote / Banner / Scarf!